1. Henry Clay was “The Great Compromiser.” As a statesman for the Union, his skills of negotiation and compromise proved invaluable in helping to hold the country together for the first half of the 19th century. His compromises quelled regionalism and balanced states rights and national interests. As a result, the Civil War was averted until it could not be avoided and the nation could survive it. 2. Henry Clay actively encouraged United States participation in the War of 1812. However, he later served as a member of the treaty delegation that negotiated the Treaty of Ghent, playing an important role in helping to end the war and protect American interests. As a result, the United States emerged as a nation of importance and influence in the world. 3. Henry Clay changed the role of Speaker of the House and made it the powerful position it is today. Henry Clay held that office longer than anyone in the history of the House of Representatives other than Sam Rayburn. 4. Henry Clay’s support of the emerging South American republics played a significant role in helping a number of them survive the process of becoming independent nations. He became as popular a figure in parts of South America as Simon Bolivar. 5. Henry Clay argued many times before the US Supreme Court. In so doing, he introduced the concept of the Amicus Brief to Supreme Court jurisprudence. Henry Clay’s cases continue to be cited on a regular basis today. On a visit to Ashland in 1996, Sandra Day O’Connor noted two cases which had been cited 28 times since her joining the bench in 1981. O’Connor also noted one of the cases had been cited 86 times overall. 6. As an attorney, Henry Clay was one of the most successful of his era. He won far more cases than he lost, becoming prominent enough to represent the likes of Aaron Burr and Cassius Clay. 7. As a farmer, Henry Clay became one of the most respected breeders and scientific farmers in the country. He introduced Hereford Cattle to the United States and became one of the most successful providers of mules to the South. 8. As a horseman and lover of racing, Henry Clay played a major role in Lexington, Kentucky becoming “The Horse Capital of the World.” His prominence as a political figure combined with his love of attending races, made it socially “in vogue” to attend. His success as a breeder drew the attention and admiration of the best horsemen in the country at that time. The blood of his horses still runs in the best Thoroughbreds today. He owned the first syndicated Thoroughbred stallion in America. 9. Henry Clay influenced a great many future political leaders with his ideology and style. Abraham Lincoln said of Clay that he was “my beau ideal of a statesman” and adopted much of his political ideology himself. 10. Henry Clay gave his country nearly half a century of service as a Representative, Senator and Secretary of State. 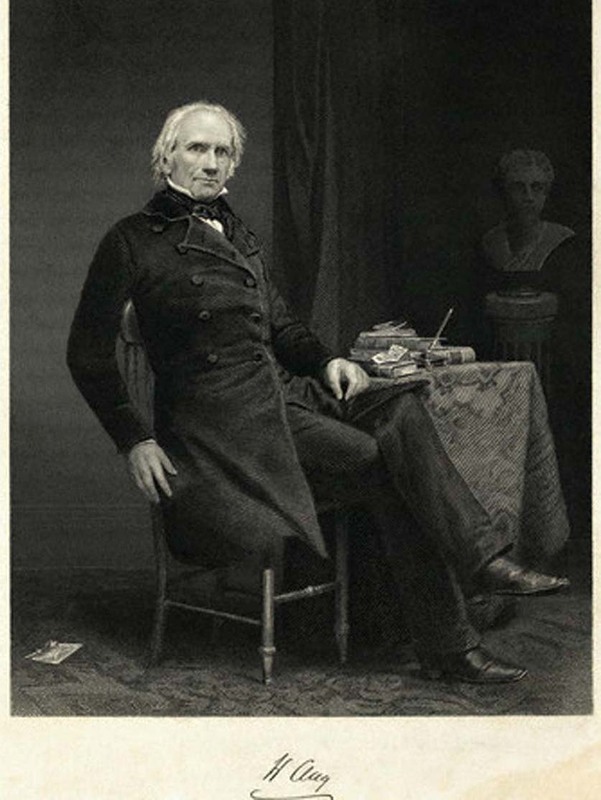 In so doing, Henry Clay became one of the most important political figures of his era. In fact, Henry Clay continues to be one of the most influential of Americans. In the 1950’s, Clay was named by a panel of historians and Senate leaders as one of the five greatest senators of all time.